I love Ina Garten. You remember my take on her shortbread, don't you? 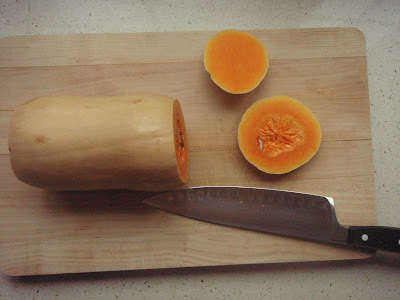 Here's my take on her butternut squash recipe. 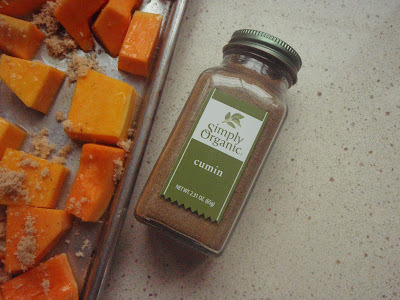 I use the original recipe for a side dish with just about anything. It has also become one of the most popular items at our Thanksgiving dinner table. Below is the original recipe followed by my recipe. I made my quesadillas today and I wanted to use butternut squash. 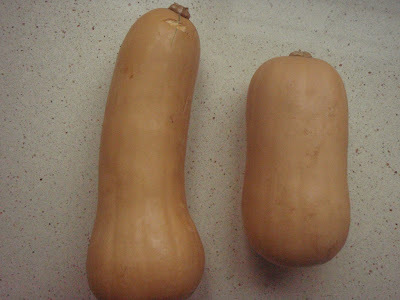 So I used my modified version of Ina's butternut squash. I took a huge batch over to school to feed the volunteers working on our school's annual Rummage Sale. Our custodian said they were the best quesadillas he ever ate! 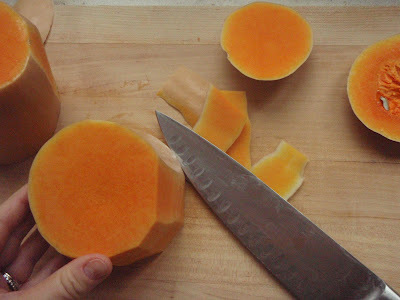 I said, "oh, do you like butternut squash?" 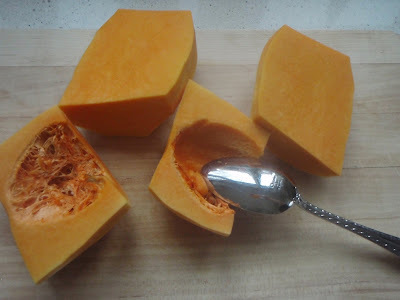 He said, "Is that what is in there, I have never tried butternut squash before." Yahoo!! I love it ! 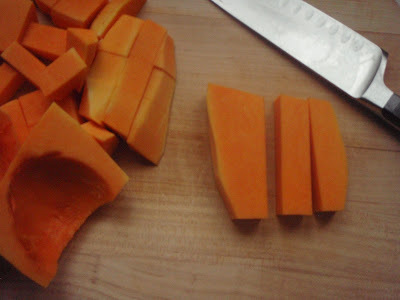 Cut off and discard the ends of each butternut squash. 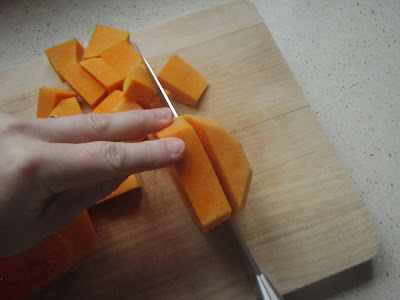 Peel the squash, cut them in half lengthwise, and remove the seeds. 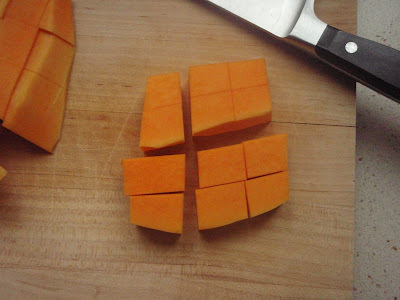 Cut the squash into 1 1/4 to 1 1/2-inch cubes and place them on a baking sheet. 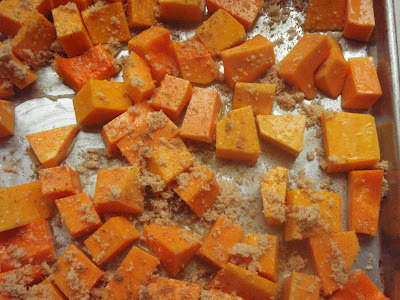 Add the melted butter (oil, if doing my version), brown sugar, (cumin, if doing my version) salt, and pepper. 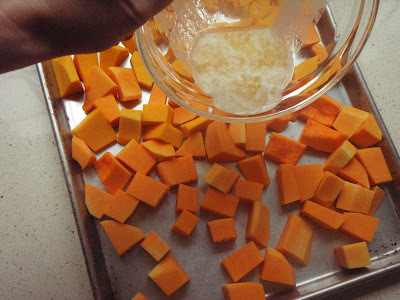 With clean hands, toss all the ingredients together and spread in a single layer on the baking sheet. 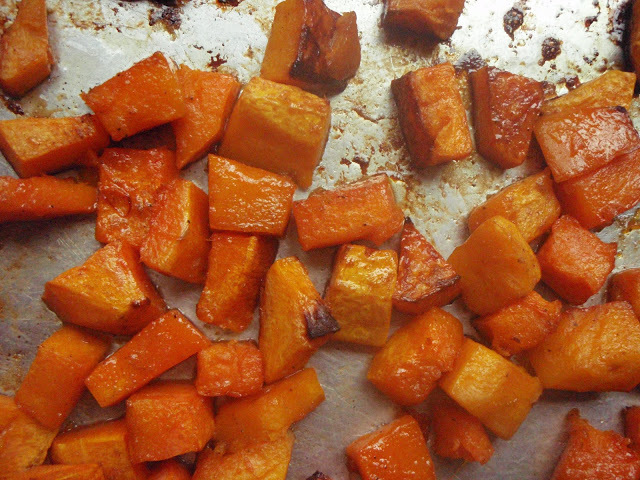 Roast for 45 to 55 minutes, until the squash is tender and the glaze begins to caramelize. 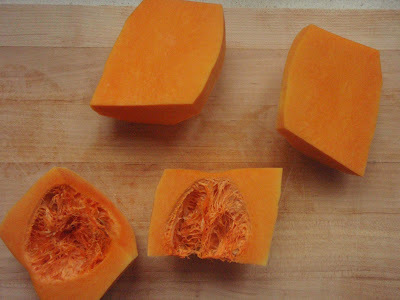 While roasting, turn the squash a few times with a spatula, to be sure it browns evenly. Taste for seasonings and serve hot.